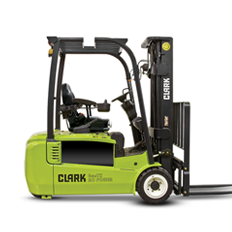 Ideal for manufacutring and warehouse applications, our collection of Clark cushion tire forklifts are safe, powerful, and durable. To choose from any number of our models, click on the link below. Ideal for demanding applications, our collection of Clark-manufactured 3- and 4-wheeled electric forklifts can handle your tough jobs. From our wide selection, choose from any number of these industrial-strength forklifts – available in both indoor and outdoor models. Click on the link below to learn more. 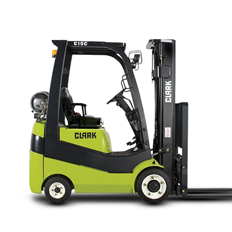 When access and flexibility are critical to success, look no further than Clark’s line of narrow aisle forklifts. 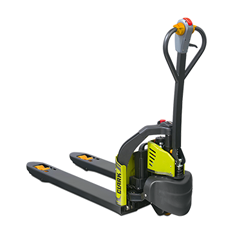 These versatile machines are specifically designed to access hard-to-reach spaces within your facility. This benefit only becomes more pronounced as your warehouse’s storage requirements become more complex over time. Looking for an industrial-strength forklift that’s sturdy enough to withstand the elements? 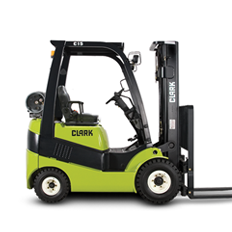 Clark’s premium line of pneumatic tire forklifts can handle the heaviest payloads. These high performance forklifts have the strength to handle harsh environments for your most demanding applications. 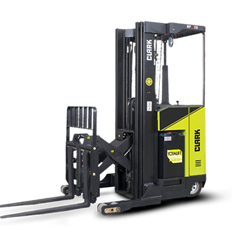 Clark’s line of walkie pallet stacker trucks are the perfect solution when versatility is what you need. Designed for low-level transportation applications, these walkies help reduce the fatigue normally associated with long hours on the floor. Thanks to their maneuverability and ergonomic design, Clark walkie stackers can help your facility boost throughput while simultaneously eliminating unnecessary strain on your teams. Give us a call at 510-429-0303 or get a free quote now.